The “Liquid Super Separator” is a new concept of a pneumatic mist remover without a filter element. 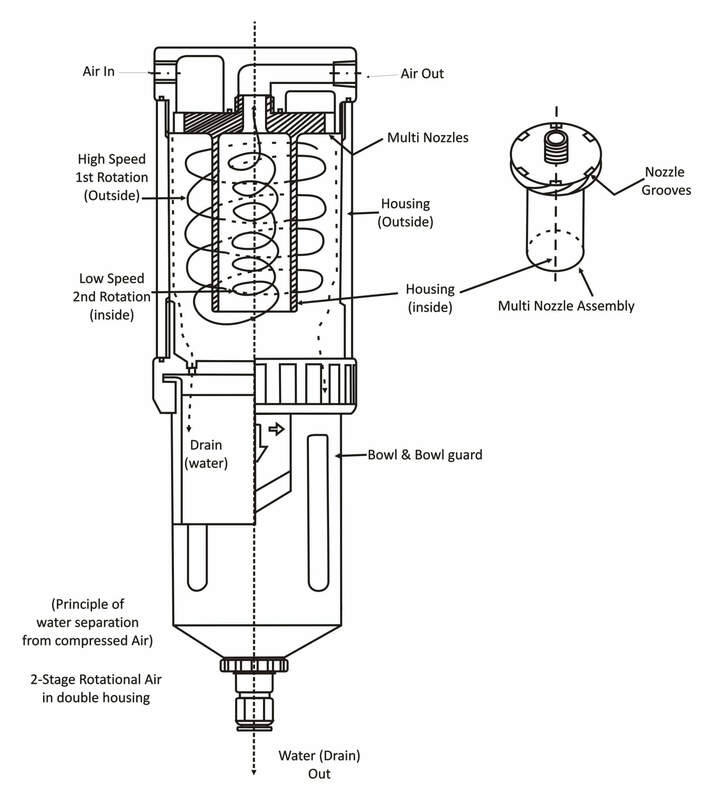 The “Element Free Pneumatic Water Separator” uses a special centrifugal technique with uniquely designed “radial multi-nozzles” that creates extra spinning action as the compressed air passes through the unit. As the compressed air spins, any suspended water and oil and particulate falls to the bottom of the separator. This special design makes it possible to remove 99.99% of the oil and water suspended in the system. While it cannot control particle size, this can be enough to radically improve a compressed air system suffering from water and oil problems. If particle size is an issue (as it could be for equipment sensitive to particle size) then a standard membrane or cartridge filter with auto drain should still be installed, or if already there, kept installed downstream from the Super Separator. However, the action of the Super Separator will dramatically extend the life of the cartridge filter. 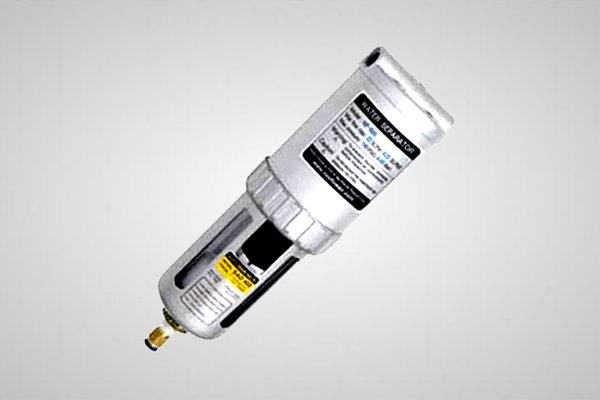 This pneumatic mist separator is virtually maintenance free, as there is no need to replace any filter element. The unit maintains an extremely low pressure drop throughout its operating life. It comes complete with a replaceable but reliable, quality float type automatic drain. The Super Separator comes with a 5-year manufacturer’s warranty and is compact, lightweight, and easy to install and use. 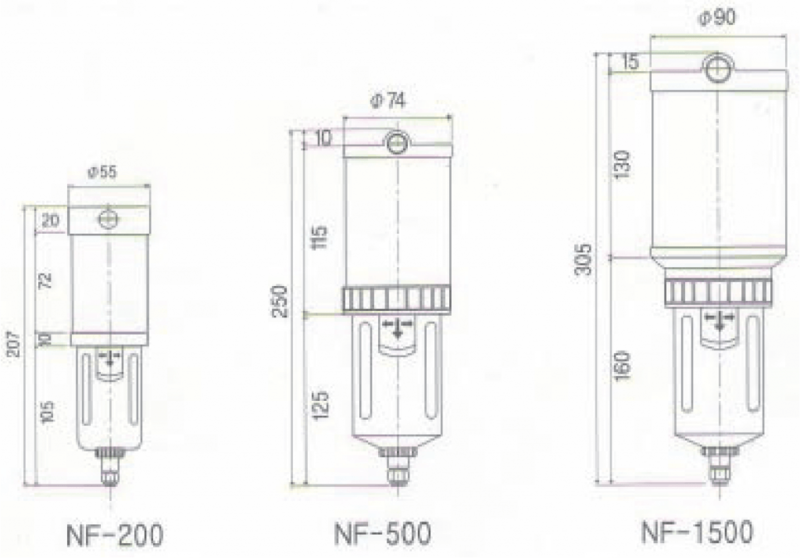 The Nex Flow™ Super Separator is a unique device designed to near eliminate water and oil removal filter cartridge replacement. The Nex Flow™ Super Separator is designed to be used near the point of use of compressed air and will remove 99.9% oil and water. No filter cartridges need to be replaced. If a standard filter is utilized after the Nex Flow™ Super Separator, the filter cartridges may not need replacement for 4 times or more longer than before saving significantly on downtime and maintenance and in energy loss from system pressure drop.